Mr. Willie "Billy" Albert Raines of Evergreen passed away peacefully Monday, March 18, 2019. He was 72. Born in Evergreen, raised in Eight Mile, AL. He was a 1964 Vigor Highschool graduate and a 1968 graduate of the University of Southern Mississippi. 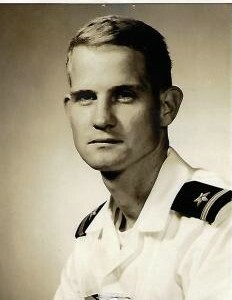 He was commissioned as an ensign in the U.S. Navy and completed Navy Aviation training in Pensacola Fl. After his military service, he became a traveling auditor with Gulf Illinois Central Railroad. Upon his retirement, he moved back to Evergreen. A graveside service will be held at 11 a.m., Friday, March 22, 2019, at the Witherington Cemetery with Bro. Bill Bodiford officiating. The family will receive friends one hour prior to service at Cope Keahey Funeral Home. Survivors include brothers, Mark (Carolina) Raines of Bogota, Colombia, Robert (Kathy) Raines of Saraland, Russell (Dona) Raines of Satsuma AL. ; sisters, Helen Raines (Danny) Rutledge of Saraland, Diane Raines (Allen) Hayes of Saraland; 11 nephews; 4 nieces and numerous other family and friends. Mr. Raines is preceded in death by his parents Arthur Lee Raines and Mattie Merle Ellis Raines. Pallbearers include Garet Rutledge, Trent Rutledge, Brantley Rutledge, Colin Rutledge, Conor Rutledge, Shane Hayes and Brandon Raines. Honorary Pallbearers include Robert Raines, Mark Raines, Russell Raines, Danny Rutledge and Allen Hayes.